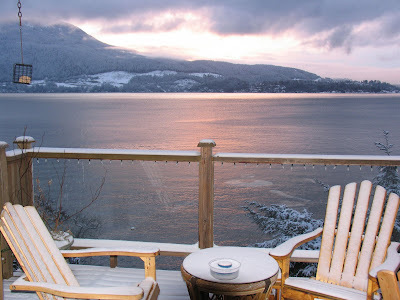 Typically winters on Bowen are mild and with a little bit of snow that might stay for the day. 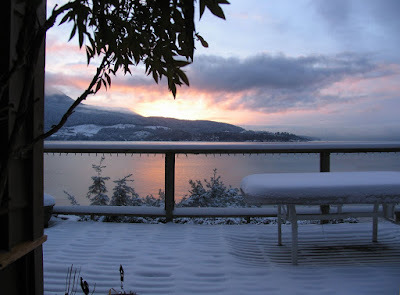 But the last 10 days have turned Bowen Island and the waterfront into a winter wonderland. 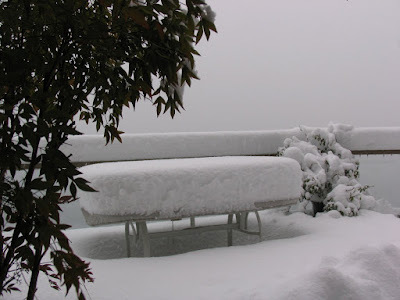 Thank you to my good neighbor and winter photographer, Murray Atherton, he has provided some beautiful waterfront views as the snow accumulated across the decking and outdoor patio furniture. Christmas day added a few more inches. Of course this same snow accumulation is on our private road as well. Currently only chained 4-wheel drive vehicles can drive down Cleator Road. Our last guests used a toboggan to transport their luggage and groceries from Eagle Cliff down to the house. What a great idea!!! On this upcoming Christmas I have been planning for many new things that are going to be exciting. You are surely having most of the creative ideas which have been moving in my mind form a while.